The U.S. Department of Energy on Friday began accepting applications for at least $3 billion in direct funding of renewable energy power plant projects. The funding, part of the federal stimulus package, is in lieu of a 30 percent investment tax credit that green energy developers can take on their projects. Given that most solar and wind developers carry no tax liabilities, they have relied on investment banks and other investors to front the hundreds of millions and billions of dollars in financing needed for their projects in exchange for the tax credits. But as the economy tanked along with investment banks, demand for so-called tax equity partnerships evaporated. 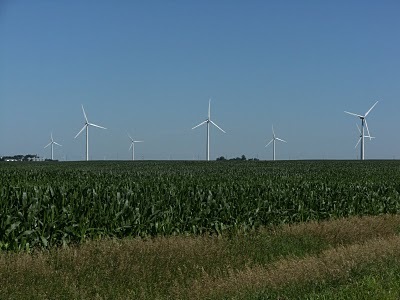 Big Solar projects stalled and wind developers delayed turbine orders. Curiously, the Department of Energy said on Friday that the $3 billion would fund some 5,000 projects. That works out to about $600,000 per power plant. But a single 250-megawatt solar power plant alone can cost more than a $1 billion and would thus soak up $300 million or 10% of the funding pool. The question is, will DOE end up funding a few large-scale green energy projects that could start to give, say, the solar thermal industry economies of scale, or will it spend the money on hundreds of smaller renewable energy facilities? That’s a crucial issue for solar developers like Tessera Solar/Stirling Energy Systems, eSolar and BrightSource Energy, which is backed Google (GOOG), Morgan Stanley (MS) and VantagePoint Venture Partners as well as a clutch of oil giants – Chevron (CVX), BP (BP) and Norway’s StatoilHydro. Also left unsaid in the DOE’s announcement was the fact that renewable energy projects need to break ground by the end of 2010 to qualify for the direct funding. Which is why BrightSource, Nextera Energy (a subsidiary of utility giant FPL Group (FPL) ) and Tessera Solar are eager to expedite the lengthy California licensing process and get their projects approved before New Year’s Eve 2010 so they can put shovel to dirt and start shoveling cash into their coffers.